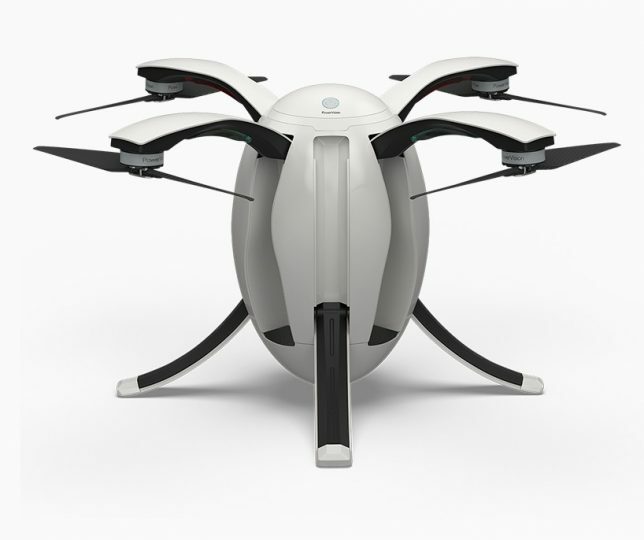 Their efficiency in the real world is yet to be established, but if these drone concepts and fully-realized creations are any indication, some of us could be looking at losing our jobs to robots in a range of industries over the net couple decades. 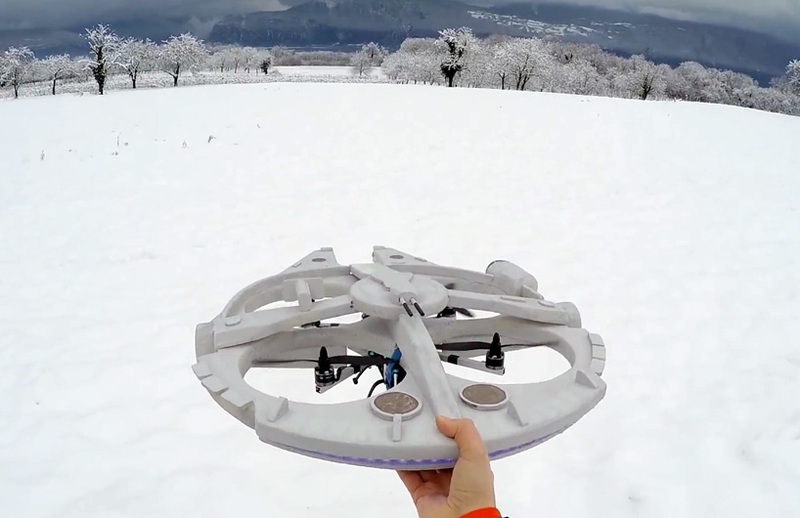 From emergency responders to face-recognizing cameras, many of these autonomous flying gadgets take over tasks currently completed by pilots, construction workers, delivery drivers and videographers – but sometimes, they’re just for selfies. 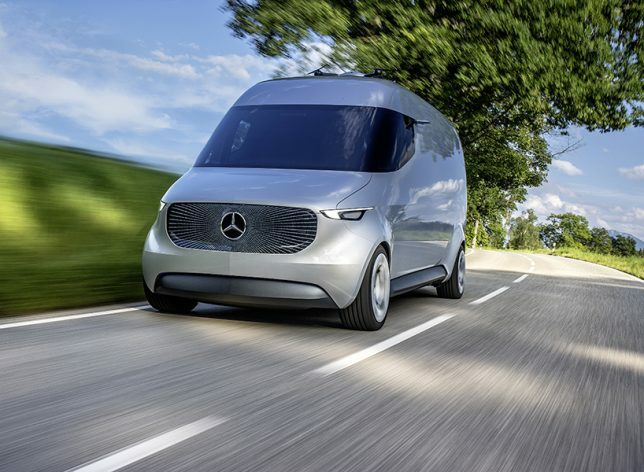 Designed for last-mile delivery in urban and suburban contexts, the all-electric ‘Vision Van’ by Mercedes-Benz is the first of its kind to feature built-in aerial drones that enable multiple package deliveries in a single neighborhood at the same time. This theoretically reduces the number of vehicles in any given residential area and makes the delivery process totally emissions-free. 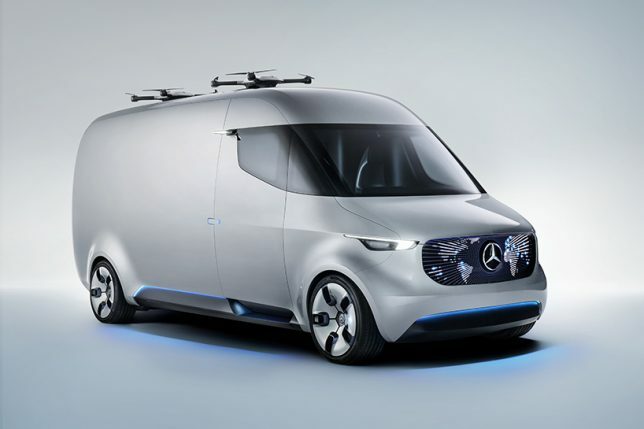 The van also features blue LED lighting on the lower body and slide-out shelving units. It certainly takes windowless vans to another level. 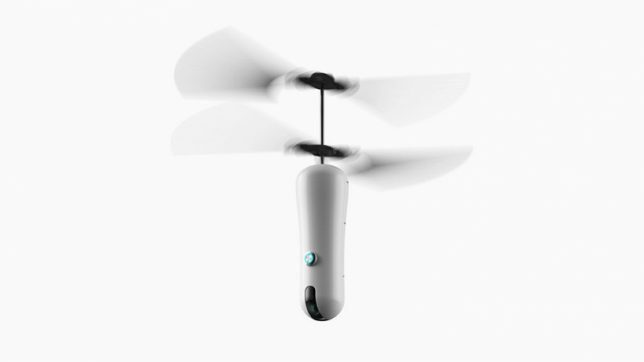 A small egg-shaped device sprouts propellers and turns into a personal camera drone at the push of a button. 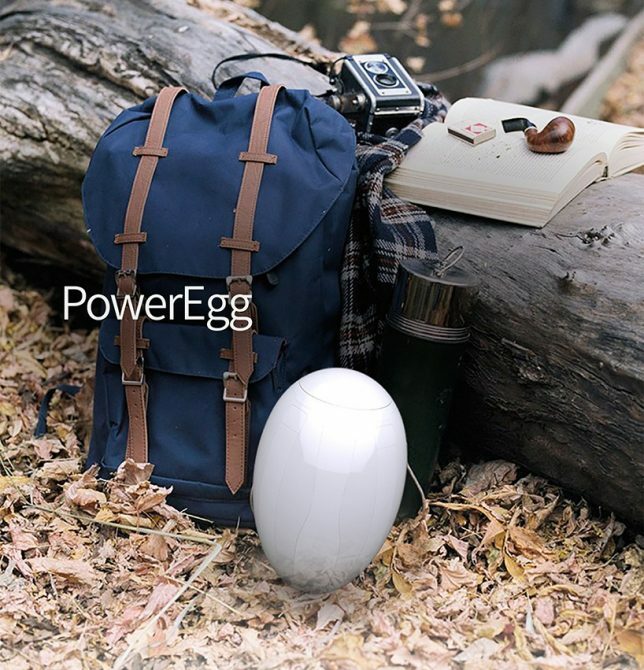 The PowerEgg by PowerVision is clean, simple and easy to transport, featuring a 360-degree panoramic 4K HD camera, advanced sensors for indoor navigation and real-time, long-range video transmission. You can snag one yourself for $1,288. 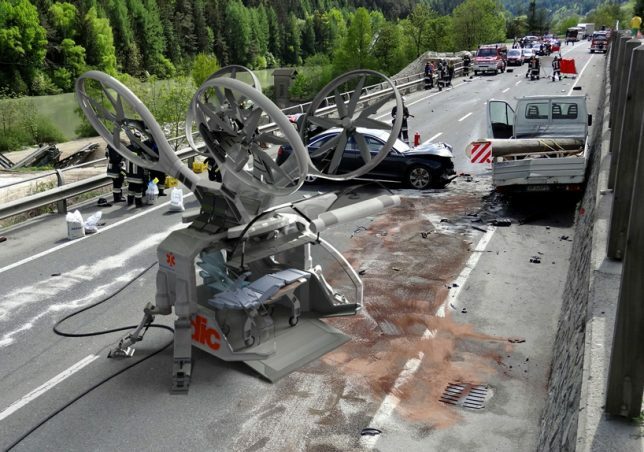 Could this Drone Ambulance concept by Argodesign save lives by enabling more flying responders to hit the ground faster than a single helicopter? 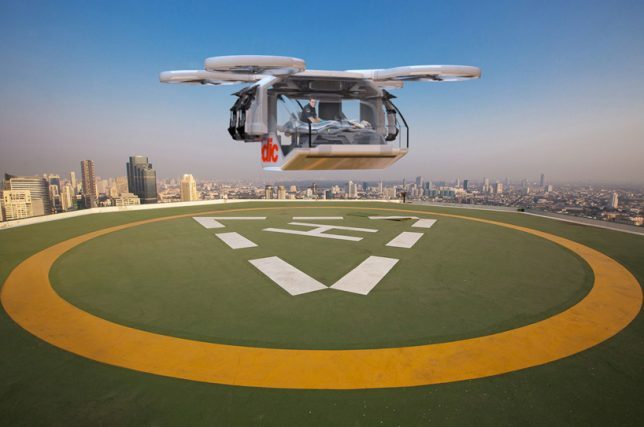 It’s about the size of a compact car and can land in much smaller areas, and a single pilot can manage an entire fleet of them remotely. 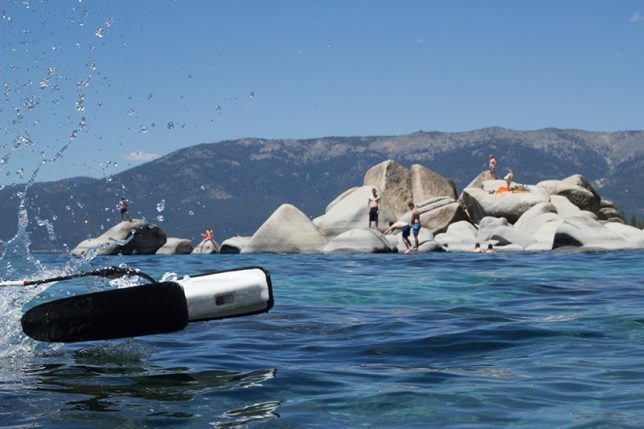 Explore bodies of water without ever getting wet thanks to the Trident drone by Berkeley robotics company Openrov. 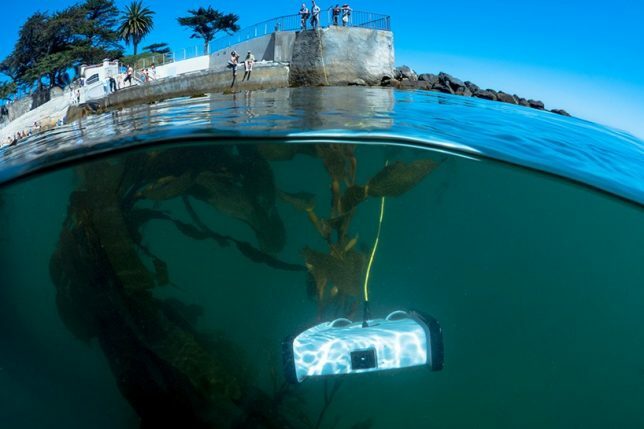 No scuba gear and training is required when you send this portable machine down into the water in your place, and it can dive to a depth of 100 meters, sending live HD video to the surface via a thin buoyant tether. 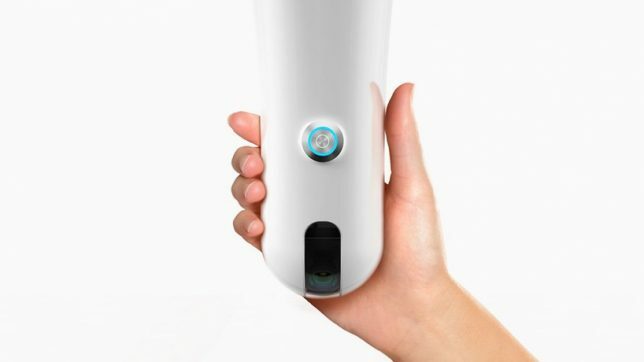 It can be controlled from the surface by a laptop or mobile device. The Trident is set to hit the market in November.